The group offers fellowship, light exercising, games such as bingo and horse races. The group also goes on periodic field trips. For more information, call the society office @(330)453-9157. 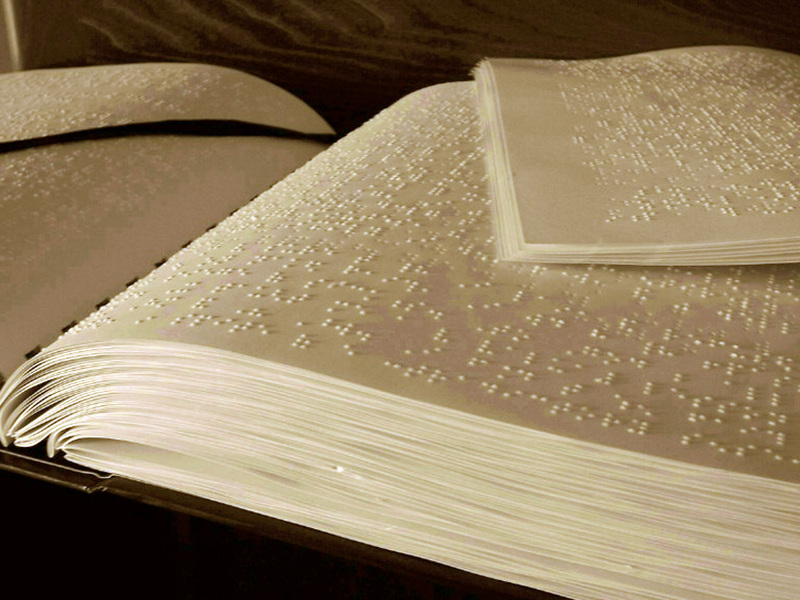 Braille Classes: The Philomatheon Society offers Braille classes, free for members and a minimul charge for non members. These are set up individually for each client. For more information, call the Society office @ (330)453-9157. The Philomatheon Society of the Blind offers memberships to all activities of the organization for a fee of $15.00 per year. We offer beneficiary membership for the legally blind, social membership (limited number of sighted members), associate memberships for sighted persons, and youth membership for legally blind and sighted youths under the age of 16. 2. A statement from a reputable eye physician. All potential members must attend one meeting before making application for membership. Membership meetings are held the third Saturday of each month (excluding July and August) @ 5:00 P.M. BENEFICIARY: Available to anyone who is 16 years of age and older and legally blind according to the laws of the State of Ohio. A beneficiary member may vote and hold office. ASSOCIATE: Offered to anyone 16 and over, who desires to be associated with the Philomatheon Society. Although the Associate Member may not vote or hold office, they may serve on the various committees, with voting rights on such committees. SOCIAL: Available to an Associate Member, who has served the Society in an active roll. The Social Member may vote and hold office as set forth in the Society's "Code of Regulations." YOUTH: Open to those under the age of 16. The same guidelines apply as previously for Associate Members. All youth members must be accompanied by an adult. HONORARY: An individual who has served the Society in an outstanding way, above and beyond normal service. An Honorary Membership is voted on by the Board and Membership, this is a Life long membership. SUSTAINING: Defined as any person or organization making a financial contribution to the Society. Sustaining Members may not vote or hold office. Assisted Daily Living Skills, support, education and adaptation to persons who are losing or have lost their sight. Supportive counseling on the concerns of vision loss and types of available adaptive low & no vision aids, as well as referral services. Members received free SARTA Curb to Curb transportation to events or sponsored by the Society. Personal assistance with filling out forms. Quarterly Secondary Health Insurance subsidy is available to eligible Beneficiary Members. Hall rental at reduced rate. No interest Revolving Loan Fund Program for eligible Beneficiary members. BUT, AS A MEMBER, ONE CAN EXPERIENCE SO MUCH MORE. Active involvement in the community, through attendance at monthly membership meetings, attending public events, sponsored fund raisers, chairing the various committees of our organization, thereby maintaining the visually impaired person's independence and self confidence. The Philomatheon Society of the Blind was founded in 1924 by a blind teacher, Mrs. Emma Wernet. Her idea was to "relieve the terrible loneliness of the blind by getting them together". A few friends would gather and the sighted would read-aloud to the visually-impaired. From there the club grew. The Society was formed with 18 charter members as a social club. There were originally 8 sightless and 10 sighted members. They formed "for the purpose of establishing social, educational, and economic contacts for the men and women whose handicap prevented them form leading the normal lives enjoyed by their seeing neighbors". The Society met in various locations, including the Canton Area YMCA and First Christian Church. It eventually grew from a social club to a rehabilitation agency run by the blind for the blind. The term "philomatheon" is derived from ancient Greek, and means "lover of learning". Harry Stiller, one of the charter members, and an early Society president said, "We adopted that name because, when one loses his sight he has to learn to live differently and he has to learn to work differently. We are still learning." In 1941, The Society was incorporated by the State to become The Philomatheon Society of the Blind of Canton, Ohio, Inc. This is also the year the Society obtained their first Home for the Blind, located at 716 Cleveland Ave. SW. The former nursery was donated to the group by the Junior League and the Children's Mission Society. The cream-colored home contained 16 rooms and was used as a residence for 11 members and a housekeeper. The home served as the primary meeting location for the Philomatheon Society from November 1941 until 1951. The Society was formed originally with 18 charter members. Today, the Society has more than 80 members and a 9 member Board of Directors, the majority of whom must be blind or visually impaired. Ten years later, in April of 1951, the Society purchased the Hartung Home at 2810 West Tuscarawas Street. The Lela Fawcett addition was built in 1960. The Home served as a complete residence for up to 16 blind people and as part of the complex, there was a retail sales outlet and workshop. The Philomatheon had a network of vending stands in industrial plants and public building throughout the community. Blind operators from the community successfully maned these stands throughout the years. The Philomatheon Society engaged in retail sales of a wide variety of household articles made by blind people. Members participated and supervised the sales of towels, brooms, ironing board covers and a host of other useful household items. After almost 50 years in the Hartung House, discussion began regarding closing the Home for the Blind. In May, 2000 a meeting was held to change the Constitution of the Society and by a unanimous vote by members, it was decided to close the home. The Canton Preservation Society heard about the razing of the Hartung House and following many meetings and letters, the home was offered to them at no charge and they chose to move the house in April, 2001 to the current location of 131 Wertz Ave NW. The Philomatheon Society retained the land and workshop, but negotiations started with The Aultman Health Foundation regarding the purchase of the land and relocation of the Philomatheon Society of the Blind. March, 2003 the ground was broken for the new office building of the Philomatheon Society of the Blind at 2701 West Tuscarawas Street, Canton, OH An Open House was held on November 15, 2003. The Philomatheon Society continues to assist residents of Stark County who are blind or visually impaired to remain an active member of our community. On May 11, 2019 - the Society will celebrate its 95th Anniversary. If interested in the Society, its members, and events, please contact us by stopping in or calling. We are here to help. The Philomatheon Society of the Blind was founded in 1924. Its purpose has been to promote the welfare of the blind of Stark County; its success rests on the determination of this group to help blind men, women and children fulfill their roles as productive citizens of our community. When the Society was originally formed there were 18 charter members. Today approximately 80 members make up the Philomatheon Society. They are complimented by a 9 member Board of Directors, a majority of who must be blind. A number of people in our community work as volunteers for the Society, helping supervise and keep its activities flourishing. Included in this group are representatives of various professional groups who actively seek to improve and expand the scope of The Philomatheon Society. It's important to note the Society receives no funds from taxes or federal, state, or local agencies. The keystone at its continued growth is the generous support of the community and continuing commitment of the blind to remain active community members. The real story behind The Philomatheon organization is people helping other people. Blind people helping others who are blind. Members offering a range of services to the community in an effort to remain self sufficient. Community businesses and organizations along with community leaders contributing their time and talent to make the Society one of the best... for its members and for its community. The Social Hall, dedicated to Harry A. Stiller and the Education Room, dedicated to Barbara Schreiber provide a ready facility for the social, recreational and education activities of the Society. These include meetings, special member activities, community educational events, and special dinners. Regular social activities of the Society also include events like the Annual Cookout and Holiday Dinner.